3ptechies » Electronic & Appliances » Xiaomi Mi Robot Vacuum Cleaner Review 2019: is it any better? 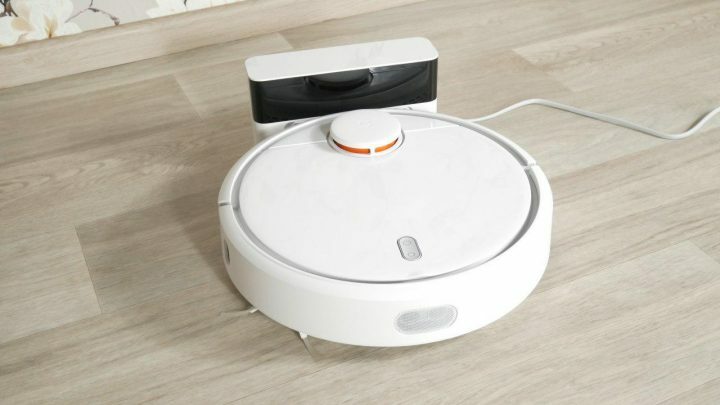 Xiaomi forayed into the automated cleaning machine industry with the Xiaomi Mi robot vacuum cleaner (aka MiJia Smart Robot). Since its launch, the robot cleaner has made good inroads in the automated vacuüm cleaner industry. It is getting credits for its sturdy build, pocket-friendly price point, efficiency, and long-lasting battery life. 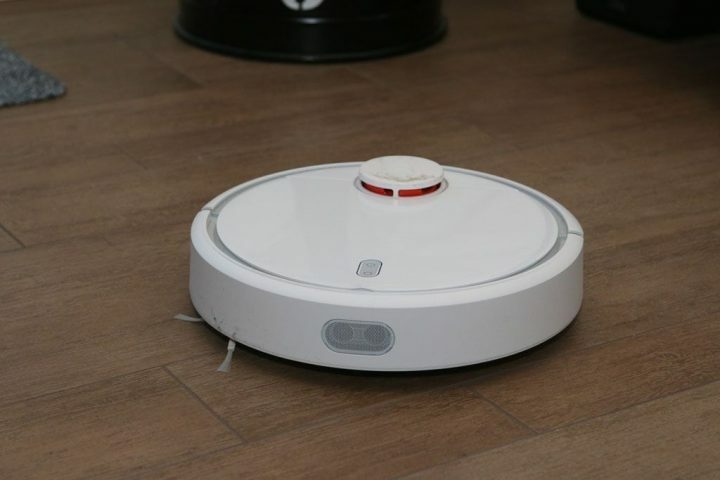 Here are the few things I love about the Xiaomi Mi Robot Vacuum Cleaner, together with the specifications, features, and retail price of this handy Smart Robot Vacuum Cleaner from Xiaomi. For its category, sporting a 5,200maH battery is a standout feature. 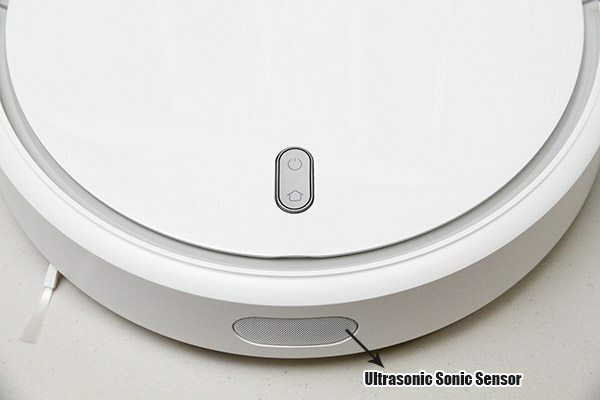 This battery size allows the Mi robot vacuum cleaner to work for extended hours – run time of 2 hours and 30 minutes. The charge time is also quite similar but more extended: It takes up to 240 minutes for the gadget to get to 100% charge. With this battery life, you can expect the Mi robot vacuum cleaner to clean about 250 square meters as stated in the specifications. Although I haven’t tested the gadget to see if it can reach the limit – you need to have a space that is 250 square meters large to check the specification. Mi robot vacuum cleaner has smart cleaning capability. Thanks to its SLAM technology, Simultaneous Localisation, and Mapping. This tech is a staple in most advanced robot systems. It allows the Mi robot vacuum cleaner to use its sensors to get a layout of a room and work out the most efficient route for cleaning. So the Mi vacuum cleaner can clean with precision, knowing the areas that have been cleaned and the areas that have not been cleaned. The suction power of the Mi cleaner is 1800Pa. This is powerful enough to pick up most types of home dirt. So there shouldn’t be problems at this end. Xiaomi Mi Robot Vacuum Cleaner comes with lots of features, and the Mi Smart Robot Vacuum Cleaner App that makes it easy to control the gadget easily. 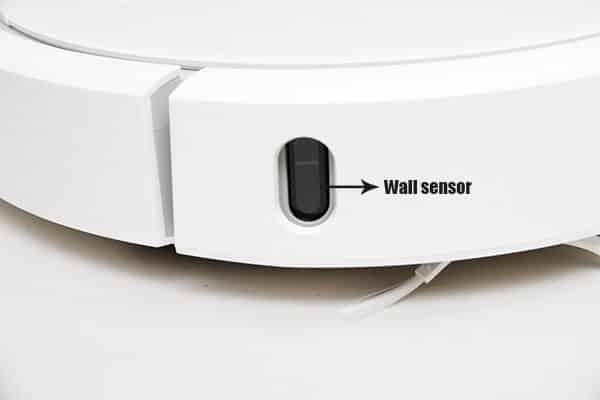 Here are some of the features and built-in control of Xiaomi Mi Robot Vacuum Cleaner. App: The robot comes with a dedicated application (MiHome app, available for iOS and Android) that allows users to connect and control the cleaner. Based on the opinion we’ve sampled, the interface of the app is not ultra easy to use, but you will get the hang of it after the first and second uses. Voice control: You can activate the device with a voice prompt. The robot cleaner supports Alexa voice control and Google assistant. This feature is handy as it saves you the effort of bending over and manually switching on the device. Scheduling: This feature allows you to schedule the cleaning for a specific time. All you need to do is place the cleaner in the area you want to be cleaned, and it will do the job. There is also a recharge and resume option that allows the cleaner to recharge and resume cleaning from where it stopped. Laser technology: This is another plus for the Mi robot vacuum cleaner. While some of its pricier competitors utilize infrared sensors, Mi robot vacuüm cleaner sports a more sophisticated laser distance sensor. The benefits of this technology are improved sensory range. Xiaomi Mi Robot Vacuum Cleaner comes with 12 sensors that work all-round to map out the cleaning areas, detect walls/solid objects, and floorless spaces. In use, these sensors help the cleaner to avoid falling off a raised platform or hitting an object. It is quite assuring to know that your gadget won’t destroy itself when you are not watching over it. The lack of extra accessories: you don’t get an extra brush or filter from the box pack. The cell phone app needs some improvement: As mentioned already, the app’s interface needs some improvement. Xiaomi Mi robot vacuum cleaner struggles with medium and high pile carpets. It is not very effective in this type of surfaces. You are assured of best performance on a normal surface or surfaces with a single rug. Small bin challenges: Xiaomi Mi Smart robot comes fitted with a waste bin that has a 450ml space. This is very small for a cleaner of this size. Although this is understandable, considering that the device packs a humongous battery and multiple sensors. However, a 450ml waste bin will make you empty it often (how often depends on the dirt on your floor) because it fills up fast. The Mi robot vacuum cleaner is sold for $444. From my viewpoint, the Mi robot cleaner is worth considering for the USD 444 price tag, and for the tech it offers. Compared to its competition in the market, you will find the Mi robot to be a great offer. Reason being that, most of the devices features can only be found on premium priced cleaners of other brands. It is available on Gearbest, Aliexpress, Amazon, and other trusted online shopping websites.